I’ve been a fan of this trilogy since the first book, The Dreamer’s Pool. Billed as a romance, the first two books focused more on the friendship between the two main characters. I enjoyed a story that didn’t rely on concepts of romantic love to redeem characters and found it quite refreshing. In this final instalment, the regard between Blackthorn and Grim turns towards the romantic. It is very well portrayed romance, subtle and sensitive, but I must admit to being somewhat disappointed that the friendship wasn’t enough for the characters. Having said that, I am invested enough in the characters that even the prospect of a happy-ever-after wasn’t enough to turn me off. Like the other two books, the story here is stand alone, although enhanced by the investment you’ve made in reading the other books. There is one overarching thread of story that has run across the whole trilogy, which is brought to a resolution. The writing is excellent, with sharply drawn characters and beautiful, sometimes almost poetic prose. As well as Blackthorn and Grim themselves, other minor characters are deftly sketched – no fully rounded, but enough to move the story along. The resolution of the overarching thread felt a little rushed and anti-climactic – I must admit to having thought that the whole last book might be dedicated to that storyline, but it was actually dealt with almost as an afterthought. It was still a reasonably satisfying, if somewhat perfunctory, ending. If you’ve read the other books, you’re going to want to read this one. If not, even though the story does stand alone, I would strongly recommend starting this series from the beginning. 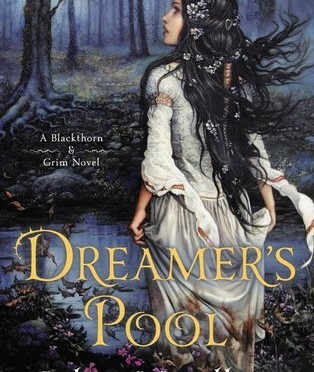 Dreamer’s Pool is the first book in the Blackthorn and Grim series by New Zealand born author Juliet Marillier. This was the first book by Marillier that I have read. I picked it up because it won the Aurealis Award for best fantasy novel in 2015 (I try to read the Aurealis and Ditmar award winning novels as a way of keeping in touch with the Australian SF scene). I must admit that I was a little put off by the cover, which conjured up images of a very romantic novel. And when read in the context of the cover, even the title of the novel seems a tad on the romantic side. While I have nothing against romance-heavy novels in the abstract, I must admit I find that I tend to procrastinate when faced with actually reading one. As a result, I put off starting Dreamer’s Pool for quite a few months. Finally, I slapped myself in the face, gritted my teeth and sat down to read because it would be good for me. The novel-consuming version of eating my vegetables. My own writing has all the romance of a roadside diner on the Sydney to Canberra freeway (Australia’s most boring freeway), so I could stand a bit more exposure to good quality romantic writing. 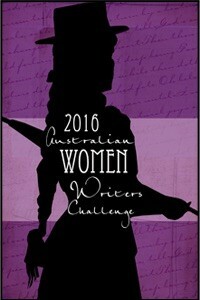 Besides, broadening my reading was part of the point of doing the AWWC, wasn’t it? All that preparation. All that mental fortitude. All those good intentions. Wasted! 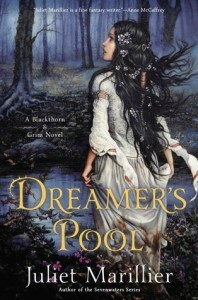 Because Dreamer’s Pool isn’t a romantic novel at all. Well, I guess the story of the prince and his bride-to-be might be considered romantic. And I suppose the quest to resolve that situation is at the heart of the novel. And I guess it does turn around the triumph of true love over pragmatism. But I don’t care! Because the two main characters, Blackthorn and Grim, they are fantastic. No romance at all. Their story is one of two broken people and the power of friendship to kickstart a healing process. The story is much darker than this blurb would have you believe. Blackthorn is an excellent character, whose perspective serves to leech away any chance of a sappy interpretation of people’s motivations. She is on a course of vengeance, held back only by the threat of destruction by the mysterious fey who released her. This motivation stains every human interaction she engages in. Grim is devoted to Blackthorn, but broken himself. Marillier draws Grim as perhaps the most sympathetic of all the characters, but there is an undercurrent of violence that adds an edge to all his interactions as well. Prince Oran, the third point of view character, is very much the embodiment of a modern 21st century perspective embedded in a medieval setting. He loves and listens to his people. He takes an enlightened perspective on things. He is an innovator. He is drawn somewhat sympathetically as well, and the resolution of his dilemma is the mystery that the story turns on. The writing is excellent, very engaging and all the qualities of a real page turner. The plot is relatively straight forward, with the reader guessing many of the twists well in advance of the characters. 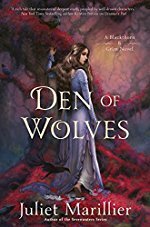 Much of the tension comes from Blackthorn’s need for vengeance and how it clouds her perspective on the problem in front of her. All in all an excellent read. This review isn’t really for the legions of devoted Marillier fans. I’m aiming this at you, yes you in the corner. The person who doesn’t like romance and who almost didn’t read even this review once you saw the image of the cover above. Do yourself a favour, and read this book. It’s not award winning for nothing!